Earlier today, we took a look at the XGEAR Spectre tempered glass screen protector for the Galaxy S3 and came away impressed. Up now is a similar tempered glass protector, only it has been made specifically for the Galaxy Nexus and is known as the Fantom. 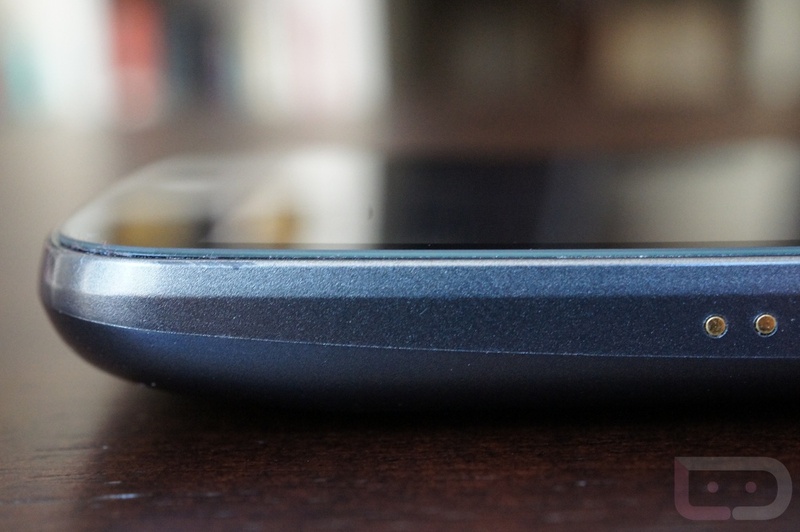 How will it handle that now-famous curved screen? Let’s find out. After reading comments from the GS3’s screen protector post, I now know that many of you would have liked to see me apply this to the screen and also to see how I avoided bubbles. While I screwed up and had already applied it, I will say that I had no issues with bubbles on either device.The glass lays down easier than any screen protector I have ever used. I would assume that the glass is thick enough that there isn’t a chance for bubbles to even form. Again, no bubble issues on either device. As far as the good stuff goes with the Fantom protector, I can say that it matches everything I loved about the version for the Galaxy S3. It doesn’t slow down responsiveness, the viewing angles are still great, it appears to be incredibly tough, and the few fingerprints that I managed to put on it, wiped away with ease. This screen protector feels buttery smooth to the touch, something I can’t say for many others. 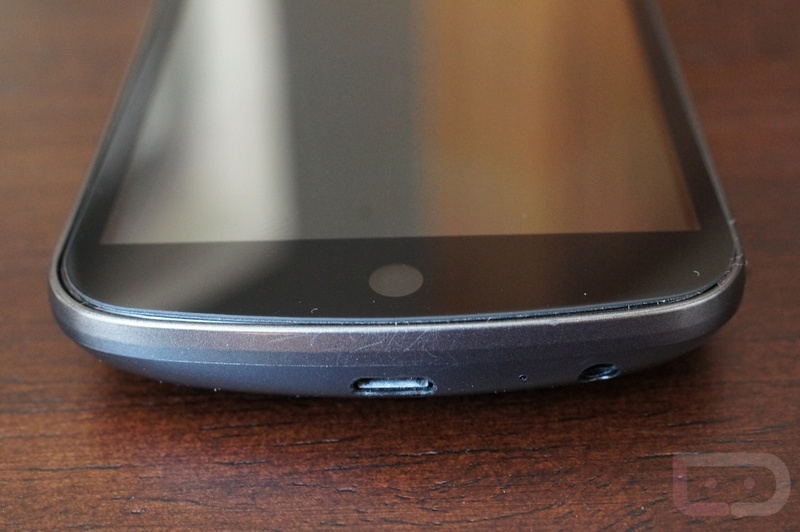 It also has less of a lip than that of the Galaxy S3, and for the most part, isn’t really noticeable to the touch. There are a couple of negatives, though. 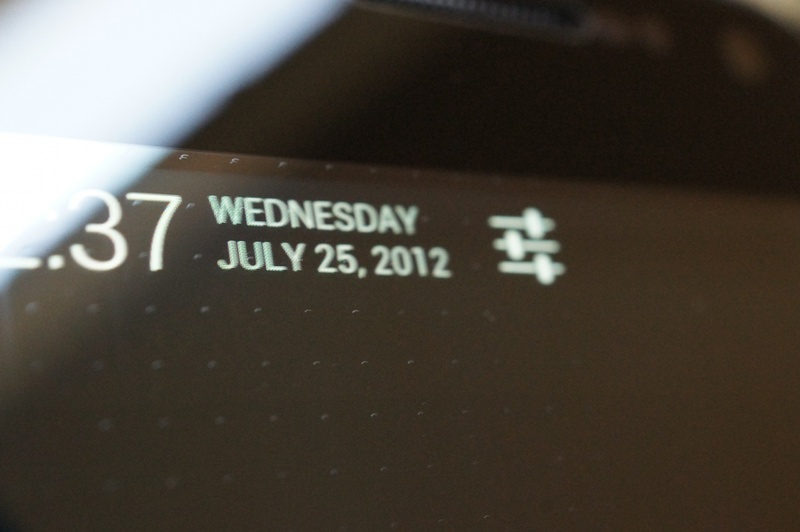 The cutout for the notification light is a bit of an eye-sore, so you won’t have as clean of a look on the bottom of your device as you have grown accustomed to. We also do not know if this screen protector will be able to hold up over time on this curved display. Most glass doesn’t like to be bent, but the folks at XGEAR seem to think there won’t be a problem. Since I’ve only had this for a day, I cannot tell how this will do over time. The last thing that may bother some, is the dotted grid that can be seen at certain angles or light (pictured far right below). 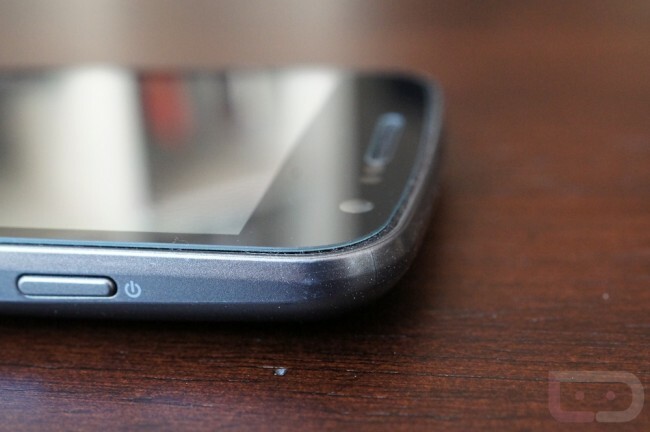 It’s the same issue that was on the GS3 screen protector. Again, it could be an issue with the samples that were sent to me and may not be present in the final retail product. 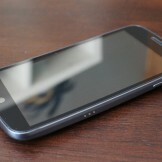 Overall, I’m more impressed with this tempered glass protector than I was with the version for the Galaxy S3. Both are great, but this one sits ever-so-slightly closer to the edge, giving it a much cleaner look. 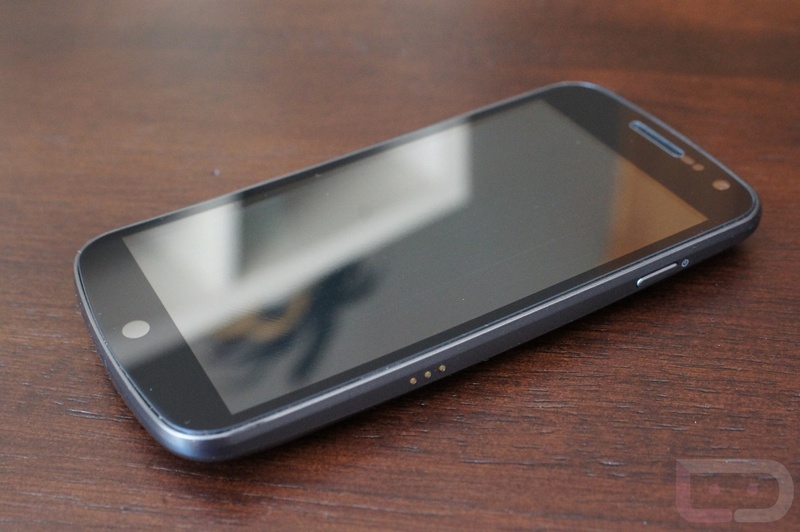 For $30, this might be the best protection you can buy for the screen of your beloved Galaxy Nexus. And as far as I can tell, XGEAR is the only company willing to make a tempered glass screen protector for this device, so this may be your only option. Pre-order. Try “NEXUSFTW” to save $5.